Those hospitals in the vanguard, who have organized to provide that kind of coordinated treatment, are able to bring patients in and treat them very quickly, ... 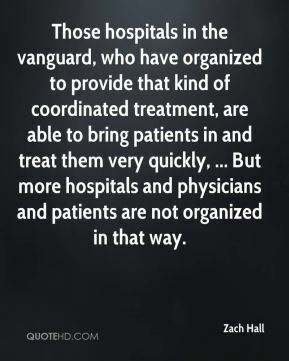 But more hospitals and physicians and patients are not organized in that way. 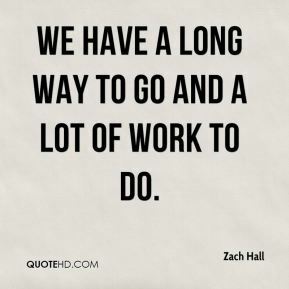 We have a long way to go and a lot of work to do. 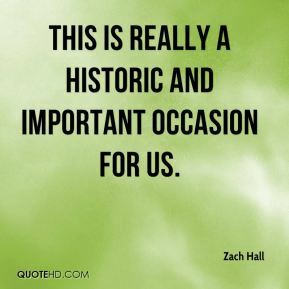 This is really a historic and important occasion for us. 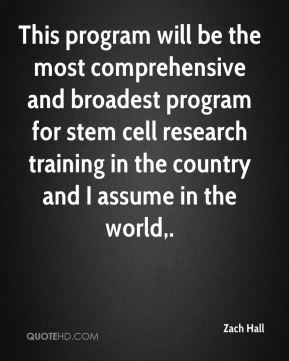 This program will be the most comprehensive and broadest program for stem cell research training in the country and I assume in the world. 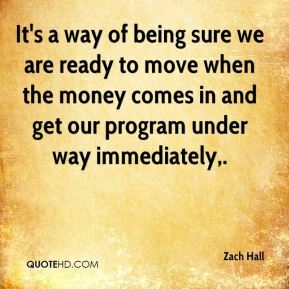 It's a way of being sure we are ready to move when the money comes in and get our program under way immediately. 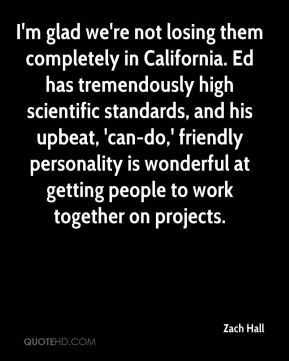 We want to hit the ground running once the money comes in. 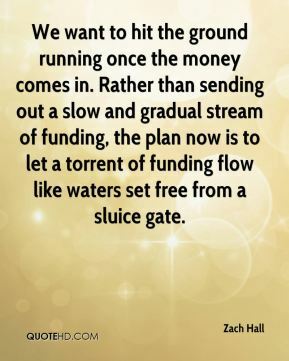 Rather than sending out a slow and gradual stream of funding, the plan now is to let a torrent of funding flow like waters set free from a sluice gate. 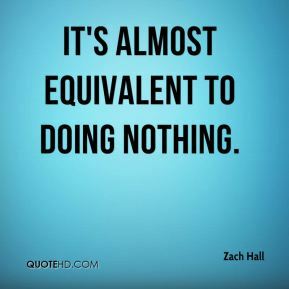 It's almost equivalent to doing nothing. 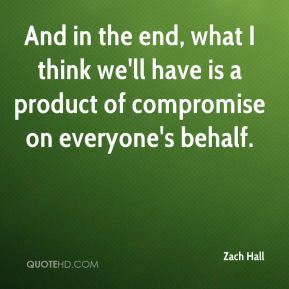 And in the end, what I think we'll have is a product of compromise on everyone's behalf. 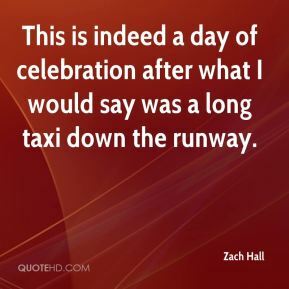 This is indeed a day of celebration after what I would say was a long taxi down the runway.